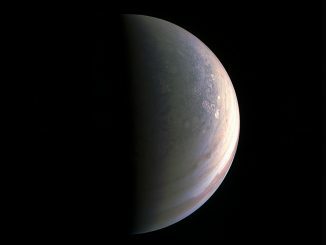 The space agency announced the contract award to ULA on Thursday, extending the company’s history of launching prominent interplanetary missions, a list that includes still-operating probes such as the InSight and Curiosity landers to Mars, the Juno spacecraft orbiting Jupiter, New Horizons in the Kuiper Belt, and the OSIRIS-REx asteroid sample return mission. 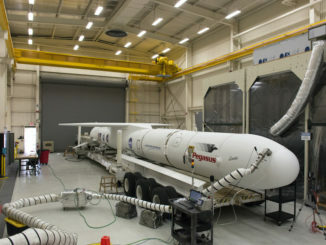 Built by Lockheed Martin, the Lucy spacecraft will lift off aboard an Atlas 5 rocket with a four-meter (13-foot) diameter payload shroud and no solid rocket boosters, a variant known as the “401” configuration. The launch will occur at ULA’s Complex 41 launch pad at Cape Canaveral. The launch window for the Lucy mission opens Oct. 16, 2021, and extends several weeks. 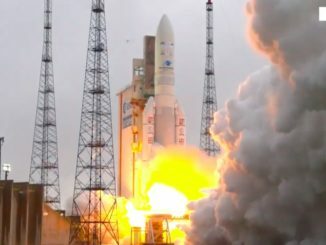 If the launch is delayed beyond the 2021 launch window, a backup opportunity is available approximately one year later, according to Simone Marchi, Lucy’s deputy project scientist from the Southwest Research Institute. “Our Atlas 5 rocket has launched 79 times achieving 100 percent mission success, and we look forward to working again with our mission partners to explore our universe,” Bruno said in a statement. The launch contract is valued at $148.3 million, a figure that includes the launch service and other mission-related costs, according to NASA. 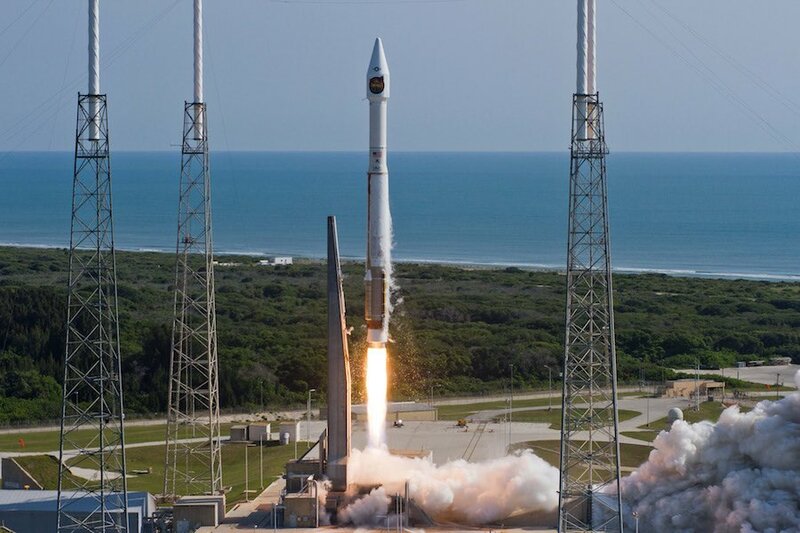 ULA said NASA selected the Atlas 5 rocket after a “competitive launch service task order evaluation” by the space agency’s Launch Services Program. ULA’s Atlas 5 and Delta 4 rockets are certified to launch NASA’s robotic interplanetary science missions, alongside SpaceX’s Falcon 9 launcher. Both companies are expected to submit bids for each task order competition managed the Launch Services Program. After launching aboard the Atlas 5 rocket, Lucy will a combination of on-board thrusters and three gravity assist flybys with Earth to spiral into an elongated orbit around the sun, first to encounter a main-belt asteroid between the orbits of Mars and Jupiter in 2025, then to explore six objects farther out in the solar system five times farther from the sun than the Earth. 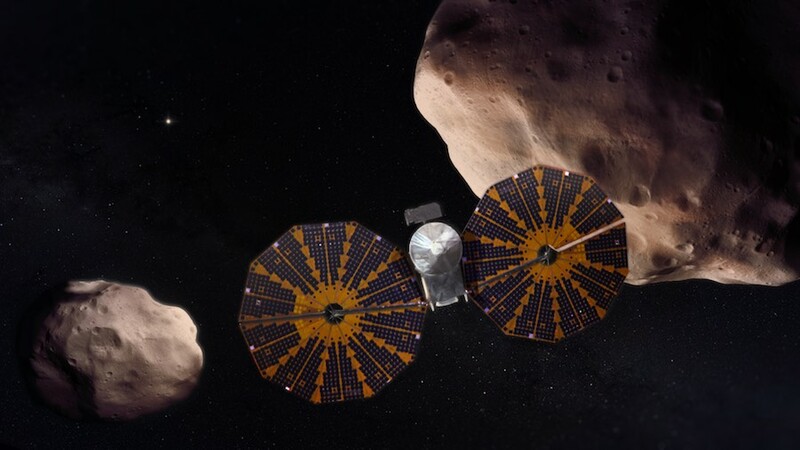 Lucy will be the first mission to visit a class of solar system objects known as the Trojan asteroids, which orbit in tandem with Jupiter, with groups ahead of and behind the giant planet in its path around the sun. Scientists believe the Trojan asteroids represent a diverse sample of the types of small planetary building blocks that populated the solar system after its formation 4.5 billion years ago. That’s why NASA has launched, or is developing, nearly a dozen robotic missions to explore asteroids, comets and objects in the distant Kuiper Belt — all in the last 25 years. Thomas Zurbuchen, head of NASA’s science directorate, said the space agency is investing between $5 billion and $6 billion in missions to small bodies in the current decade. “The reason why these (objects) are particularly interesting is because they are sculpted by the formation of the planetary system, and most of the material in it has remained roughly unchanged since the beginning of the solar system, and that’s why NASA has put so much effort into trying to understand these bodies,” Levison said. Initially thought to be the remnant leftovers from the formation of Jupiter, the Trojan asteroids actually appear different from one another, with some appearing reddish in color, and others have a dark charcoal-like color. Levison co-authored the Nice model, which suggests the solar system’s four giant planets — Jupiter, Saturn, Uranus and Neptune — all formed relatively close together, with a disk of dust and rocks extending farther from the sun. “The Nice model predicts that this planetary system was unstable,” Levison said. “The orbits went basically nuts. Uranus and Neptune gravitationally scattered off one another and were thrown out into this disk of material by Jupiter and Saturn. The disk went kablooey because of the gravitational effects of the planets, and … most of the material was thrown out into interstellar space, but you have a small population right about Jupiter, which represents the Trojans. 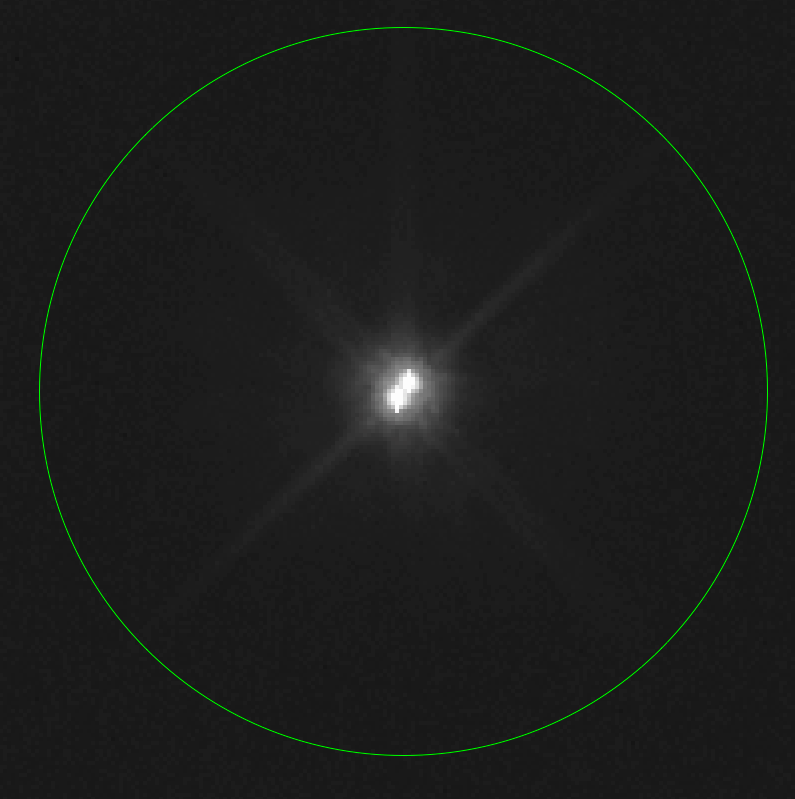 “This is just a theory, but if this is all true, then the Trojan population represents objects that formed throughout that disk (in the early solar system), so it’s an opportunity for us to understand that disk by just going to the small region that we call the Trojans,” he said. “In order to take advantage of this diversity, we need to be able to cover a lot of real estate, and study a lot of these objects,” Levison said. After Lucy’s launch, the spacecraft will return to fly by Earth on Oct. 16, 2022, and Dec. 13, 2024, to use the planet’s gravity to slingshot farther from the sun. The probe will encounter its first extraterrestrial target on April 20, 2025, when it speeds by the 2.4-mile-wide (3.9-kilometer) asteroid Donaldjohanson, named for the paleoanthropologist who discovered the fossil of Lucy, a human ancestor whose partial skeleton was discovered in Ethiopia in 1974. “Lucy is named after the human ancestor fossil because these objects really represent the fossils of planet formation, so in honor of that, we named this asteroid Donald Johanson, the discoverer of Lucy,” Levison said. Lucy will fly by four objects in one of the Trojan swarms over a 15-month period from August 2027 through November 2028, then return back to Earth for another gravity assist flyby on Dec. 26, 2030, to bend the spacecraft’s trajectory to aim for a binary pair of Trojan asteroids — named Patroclus and Menoetius — on March 2, 2033. Lucy’s four major science instruments — largely based on hardware flown on previous interplanetary missions — will be mounted to an articulating platform at the top of the spacecraft, which stands around 15 feet (5 meters) tall and has two fan-shaped UltraFlex solar array wings built by Northrop Grumman Innovation Systems, formerly known as Orbital ATK. Lucy’s chemical propulsion system will be fueled by hydrazine for major in-space maneuvers. The spacecraft is expected to weigh no more than 3,163 pounds (1,435 kilograms) at launch, with fuel loaded, Levison said. NASA selected Lucy in 2017 from 28 proposals submitted by U.S. science teams as part of the Discovery line of cost-capped planetary probes, a program under which the agency’s Mars Pathfinder rover, the Messenger mission to orbit Mercury, the Dawn spacecraft that visited Vesta and Ceres in the asteroid belt, and the InSight lander currently on Mars were developed, built and launched. In addition to Lucy, NASA selected the Psyche mission to explore a unique asteroid made almost entirely of iron-nickel metal. Psyche will launch in August 2022 and reach its destination in January 2026. The Lucy and Psyche missions costs to NASA are capped at $450 million each, excluding launch costs.